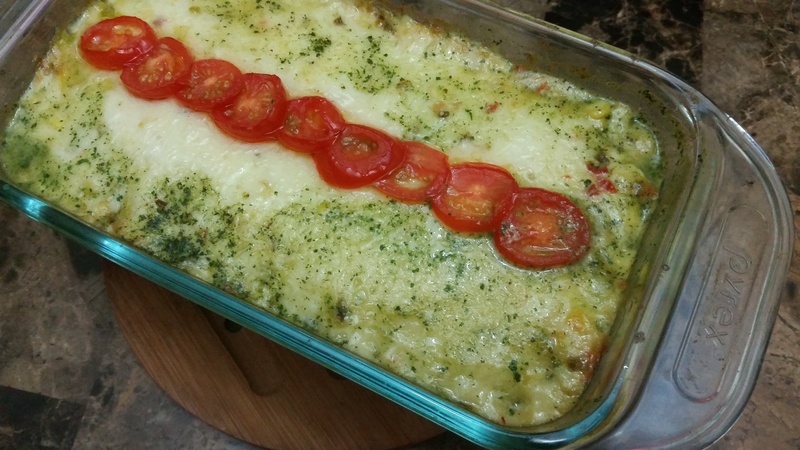 A new twist to the traditional Spinach Au Gratin, it’s worth every bit of effort you’ll put into making it! 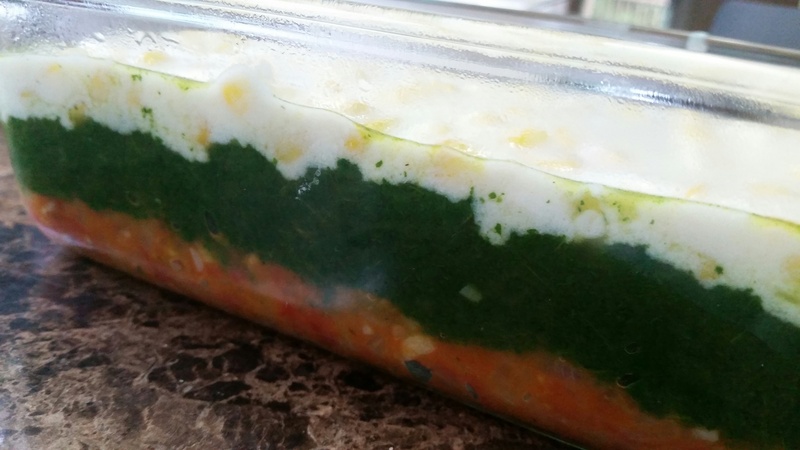 Three colorful contrasting layers come together in complete harmony to make one delicious Baked Spinach Casserole! 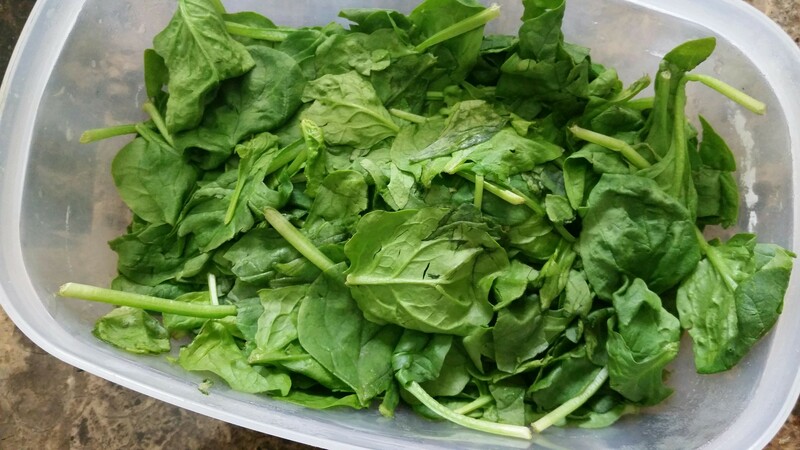 Take 2 bunches of fresh baby spinach. Wash, drain away all excess water. 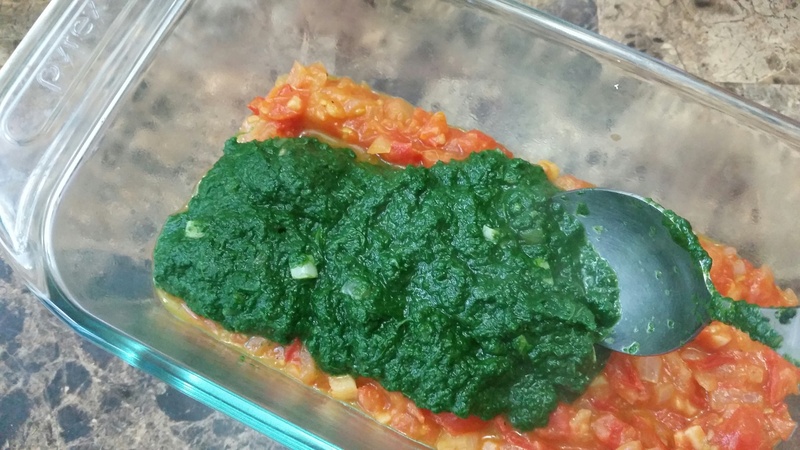 Steam spinach in microwave for 1 1/2 minute. 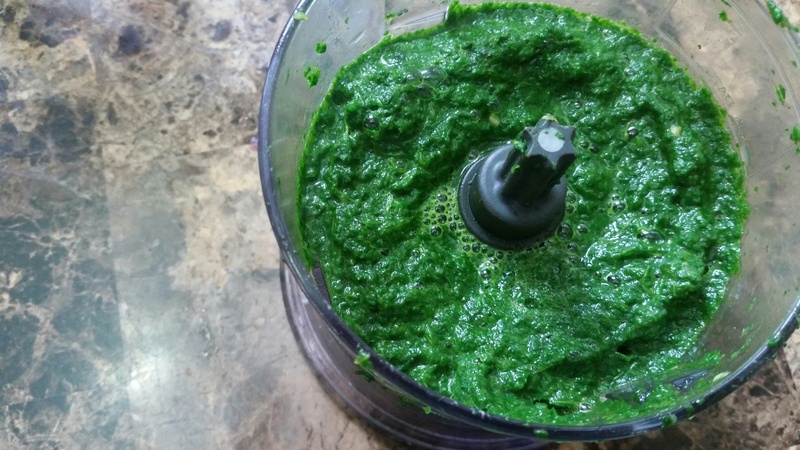 Grind spinach into a smooth paste with a couple of green chillies. 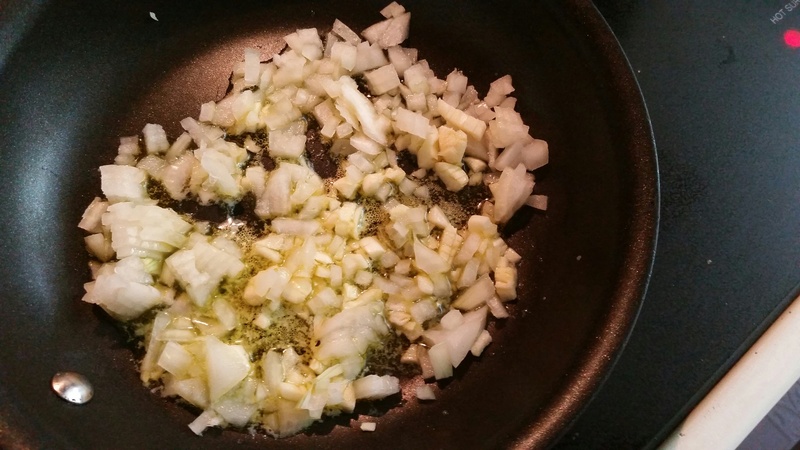 Heat some butter, add 2 cloves of finely chopped garlic and 1 small onion finely chopped. Cook till onions turn translucent. Add the spinach paste to the onions. Season with salt n pepper and 1/4 tsp nutmeg. 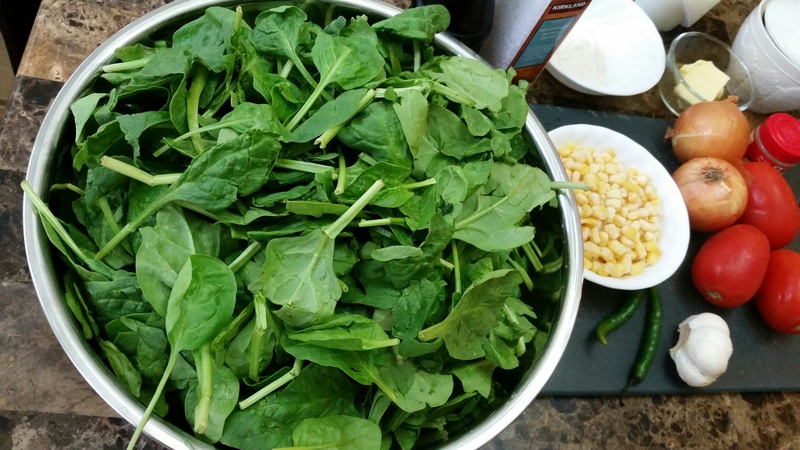 Also add a pinch of soda to the spinach. 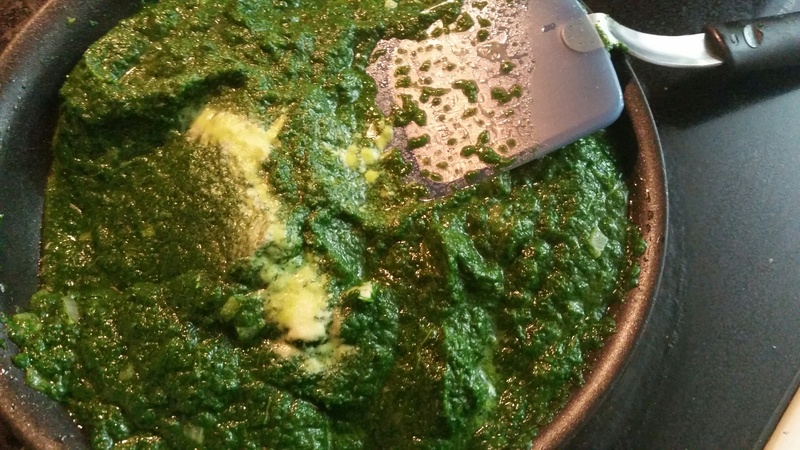 It helps preserve the bright fresh color of spinach…and just a pinch does not leave any unpleasant aftertaste. Cook for 3-4 minutes till thick. 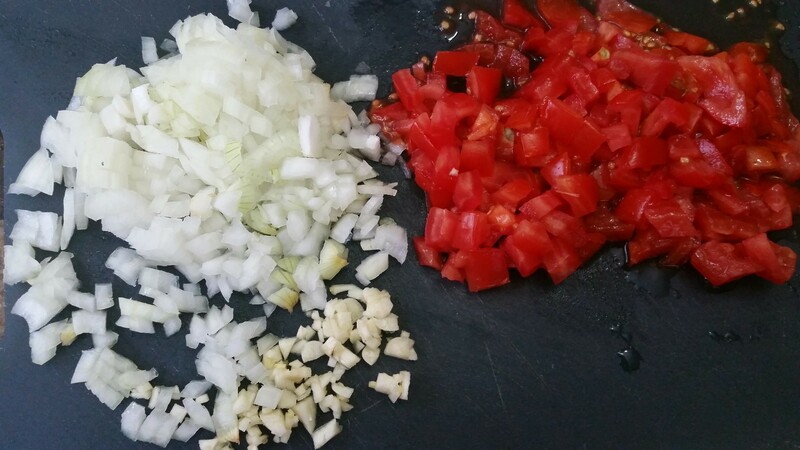 Next finely chop 2 small onions and 3 small tomatoes and 2 cloves of garlic. 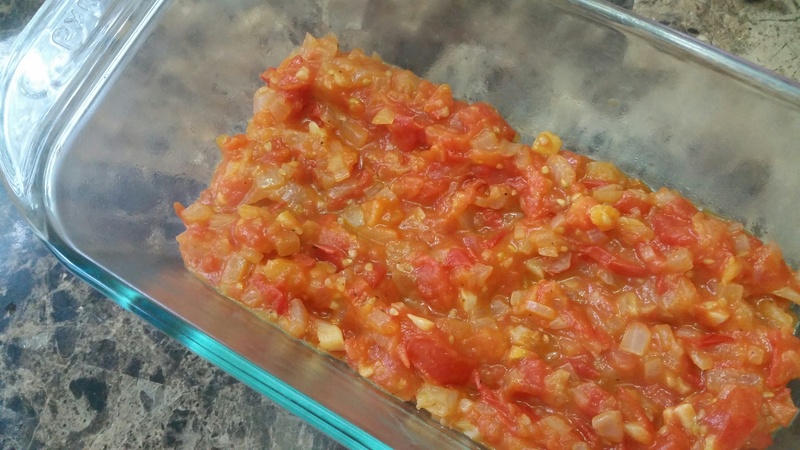 Heat some oil and cook the garlic and onions till translucent. 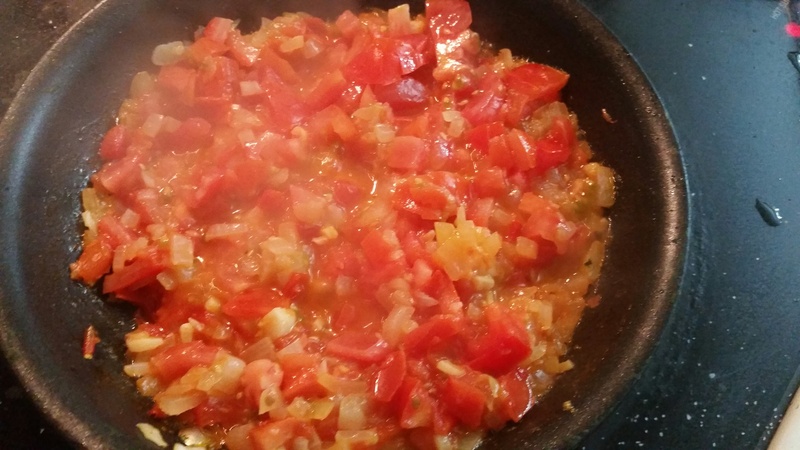 Add tomatoes and cook till melted. Add salt, pepper and 1/2 tsp sugar. 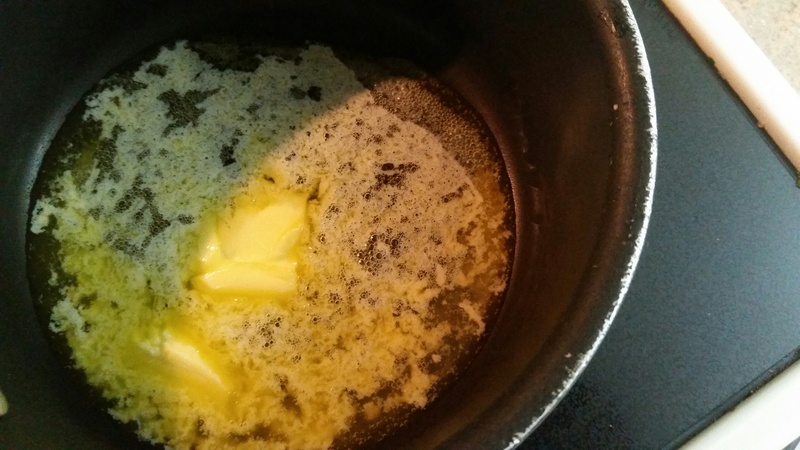 Heat 1 tbsp butter on gentle heat. Be careful to not burn. 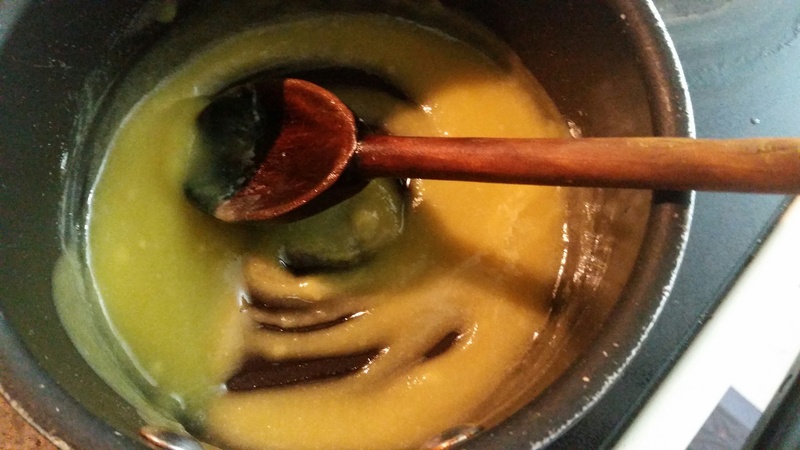 and cook till bubbly…about a minute or less…stirring continuosly. 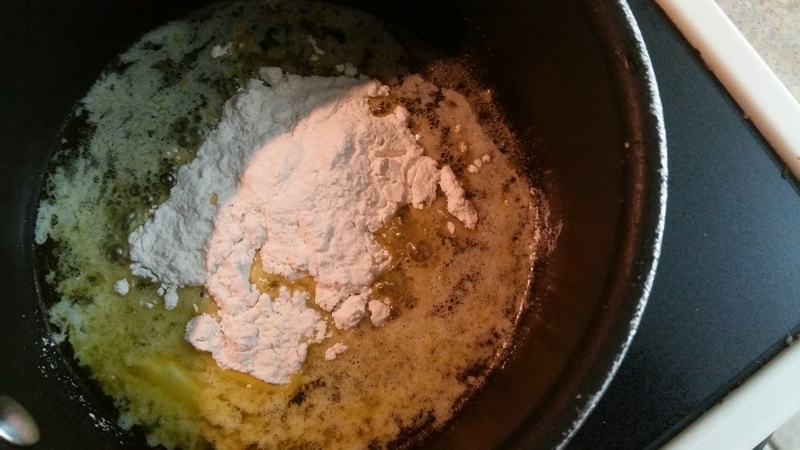 Quickly add 1 cup milk and cook stirring often till thick. 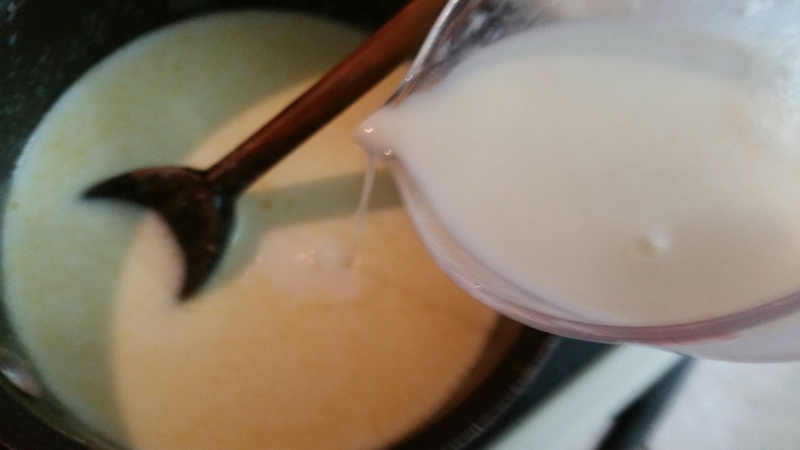 The white sauce should coat back of smooth when done. 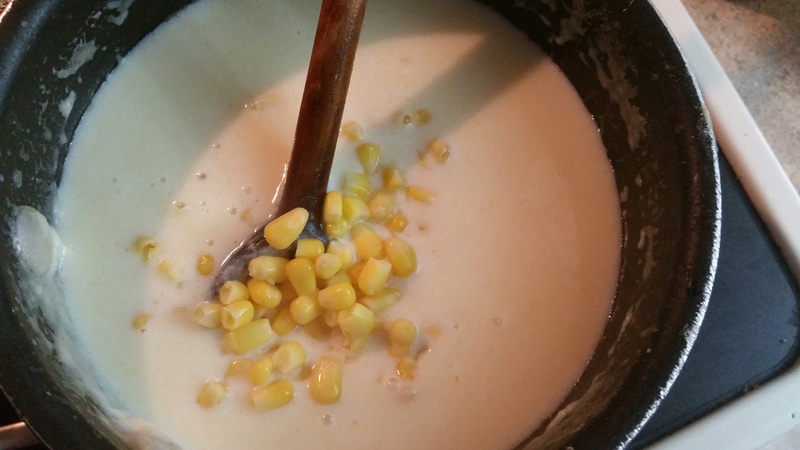 Add 1/2 cup boiled corn to the sauce. 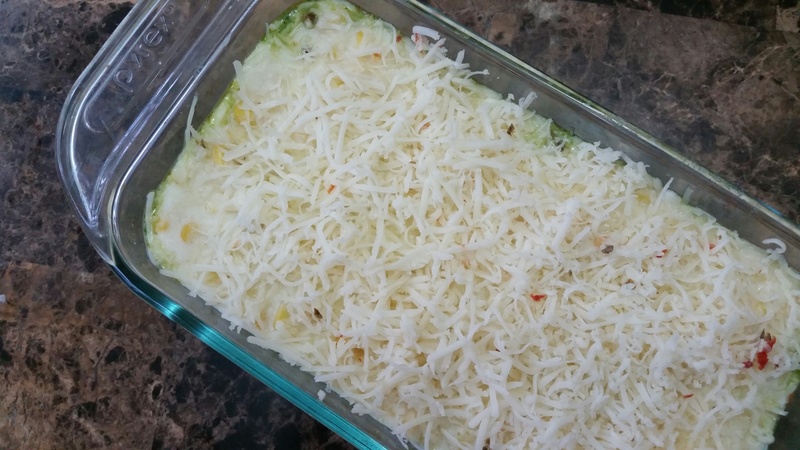 Take a slightly deep glass casserole that allows for multiple layers. Line bottom with the red layer. 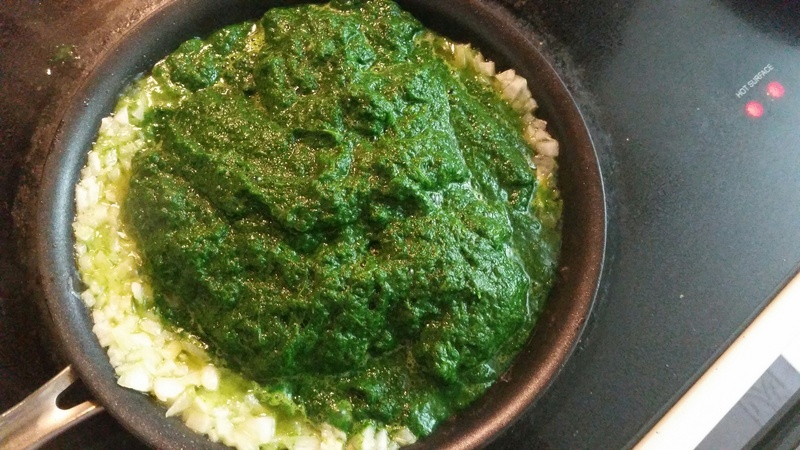 Spread the green spinach layer on top. 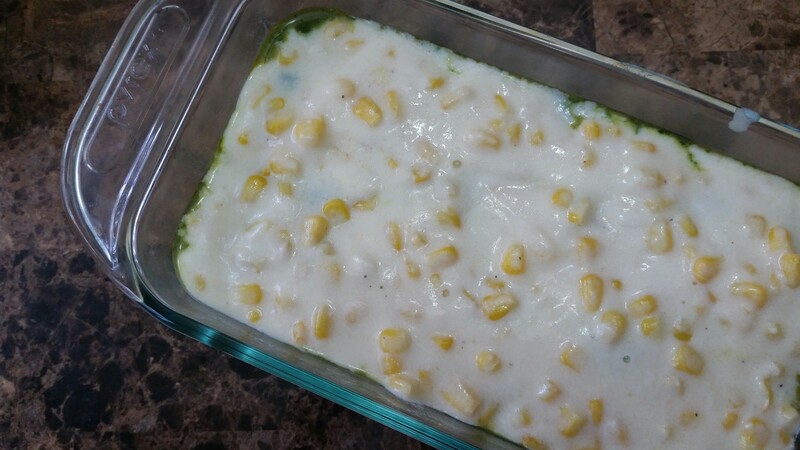 Lastly spread the white sauce corn layer. Bake in a 350F oven for 30 minutes…till bubbly! Serve hot with warm dinner rolls/buns! 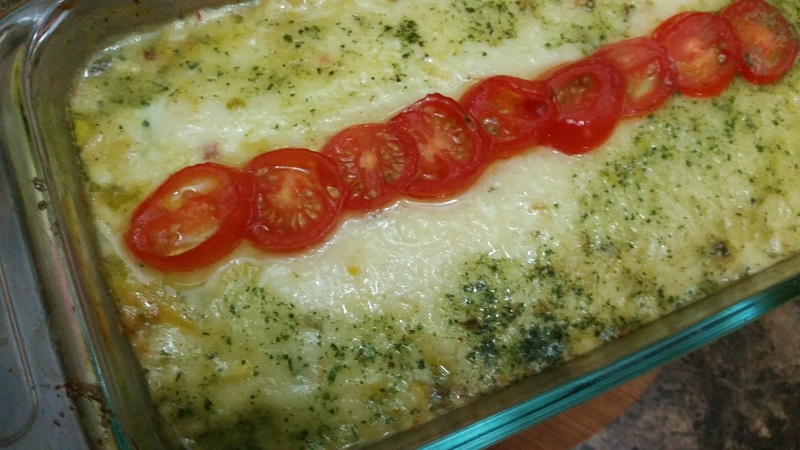 PS: if you like you can garnish the top with a row of thinly sliced tomatoes before baking.